Fantasci Book Recs: Books In Between Science Fiction and Fantasy! Okay, so this recommendation post has been rattling around in my mind for a couple weeks now, and I just had to share all of these recommendations with you! But this leads to the creation of the fun, intermediate genre (at least, that’s what it is in my mind), fantasci. The intersection of science-fiction and fantasy where it’s not magic, but it’s not science either. It’s sometimes a little vague and can definitely lean toward a certain side of the spectrum, but all in all I think fantasci is a really fun, underappreciated genre! 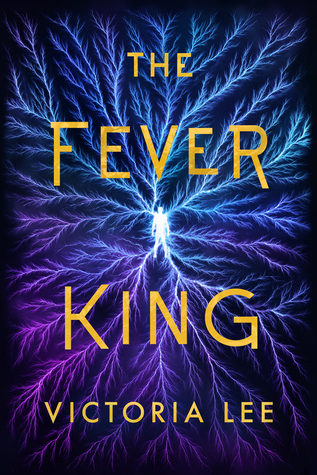 I’ve already read The Fever King and can I just say–I LOVE THIS BOOK SO MUCH! 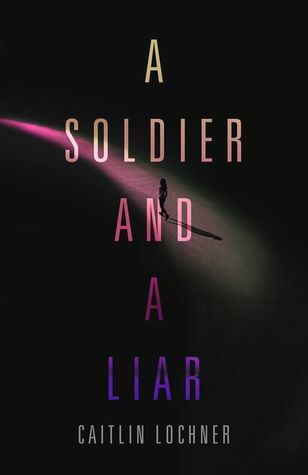 It is amaaaazing and I absolutely adore the characters (Noam+Dara 4eva) and OMG this book is sooo spicy with its politics and political manipulations! I was reading it at Disney World and all I wanted to do was DEVOUR the whole book, not wait in line. It was A Problem, but one I’m glad to have because I just want to hug this book to my chest (and it’s free on Amazon First Reads and $8.99 for the hardback early, if you want to read). I even started an Incorrect The Fever King twitter account because I love this book so much. Seriously, give this book an add because it is so awesome! And the way the fantasy and sci-fi mesh together in the future with the powers that the Level IV student soldiers have are very, very cool. This book is a mix of like, fantasy powers and genetic manipulation and I am very very excited to dive into this soon! My ARC is on the way, and my hands are itching to start because (1) THAT COVER (2) THE SYNOPSIS AHH. 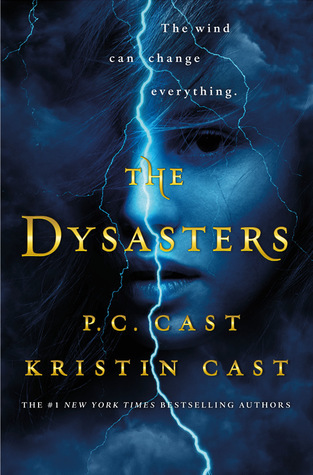 I am just the biggest sucker for teens with super powers, and that’s exactly what The Dysasters has. And the teens ~bond to the elements~ which seems really exciting, and something I’m super excited to pick up! I will let you know how this book goes, but in the meanwhile, peep that Godreads add button! I just–YAY SUPERPOWERS. You all probably know just how much I enjoy this dark fantasy x paranormal x mystery x sci-fi mashup, but if you don’t, let me tell you a little more about just how much I love this book! 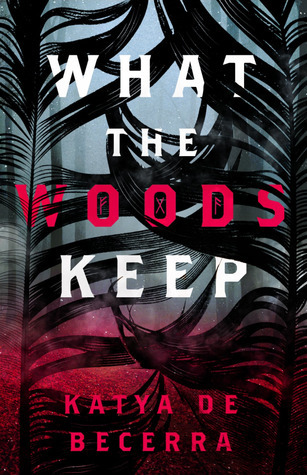 It’s just so spooky, and de Becerra does an amazing job of capturing the mystery of the whole situation Hayden is going through, as well as mashing up the INSANE number of genres in this book. And I swear, it actually works in the book. ANOTHER QUEER FANTASCI FOR THE BOOKS! I just–this sounds so amazing? A mix of science fiction and fantasy in the clockwork heart that the main character Anna harbors in her chest, along with all the other mechanical parts she tries to distribute to the sick and injured. And throw in an assassin and the son of a corrupt tyrant, all working together to end a deadly epidemic–SIGN ME UP. I just have been so so hyped for Tarnished Are the Stars and cannot wait for this book to be in my hands! I’ve heard wonderful things about the ace and lesbian rep too, and I just–I’m so ready. 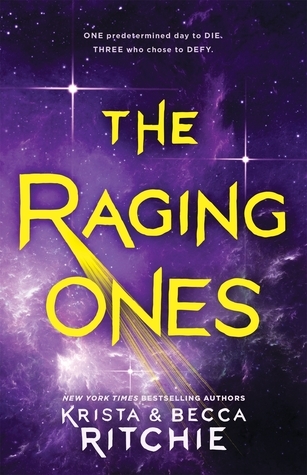 And last but not least, I have another book about superpowered teens for your list (this time, they’re called Nytes, ahh), and I am so excited to dive into this book! Four teens working towards peace feat. lots of action sounds like just my jam. And throw in some superpowers, and you have me hooked. Seriously. I have heard wonderful things and this book sounds like the action-packed adventure that I have been waiting for! If action, books feat. squad goals, or superpowers sound appealing to you, I definitely suggest the use of that cute little button right below! Even though this book had its flaws, I ultimately really enjoyed reading (stayed up wayyy too late doing so) and cannot wait for book 2 to come! It’s like, addictive–the friendship and the (m/m) relationship, the magic and the science, the story and the characters. I just gobbled this book up! It’s got this sort of mind-meld thing going on with some of the characters, plus prescribed death days and other planets and I think the sci-fi/fantasy mix in this book was really unique! Plus, I had a really fun time reading, even if I did think that the writing/plotting was a little messy. So much fun, though. I CAN’T BELIEVE I INITIALLY FORGOT THIS. Can we all take a moment to scream about the queer King Arthur retelling of our dreams? 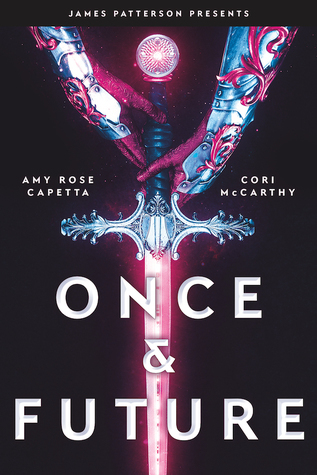 McCarthy & Capetta are AWESOME at giving us all the queer rep we desire, and I’m so so excited for Once & Future and its teenage Merlin and female Arthur. Plus, all the interplanetary/galactic things to save and corporations and AMGIC SWORDS just all sound so cool, and I’m really excited to read this and dive into my ARC. It looks amazing! 🌸 What fantasci books can you think of? 🌸 Have you ever read any fantasci books that you love? 🌸 Are any of these going on your TBR? ‹ PreviousExclusive First Look: A Treason of Thorns by Laura E. Weymouth Cover Reveal, Excerpt, Interview, and Giveaway! My TBR is already insane but I’m adding basically all of these to it. Except the Fever King because it was already on there and I cannot wait to read it! and oooh, yes! Tarnished Are The Stars sounds wonderful I cannot wait for it! yes!!! I love how it mixes space and fantasy–thank you so much, Kelly! Great recommendations!! I’m definitely adding these to my TBR. And those covers are all absolutely gorgeous! My wallet won’t be happy but I need to have these on my shelf! thank you so much! and ahahahah omg yes they somehow have GORGEOUS cover I am not minding this at all. YAY!!!! I love some of these and am so excited for other! Usually fantasci stuff just gets shoved under the fantasy rug, ahhaha! and yeah! These are great–and I’m also adding ONCE & FUTURE which I somehow forgot??? also once & future should be on this list ahhhh I need to add it! 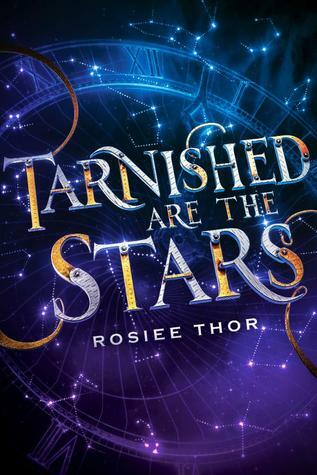 I’m so excited for Tarnished Are the Stars. like aroace rep and a f/f relationship?? yes omg ahhhh SPARK is so awesome and the ENDING ALKJSDLFKJ also THE FEVER KING is just so exciting and I hope you get the chance to read! ALL THESE BOOKS SOUND SO GOOD!!!! I need them all. 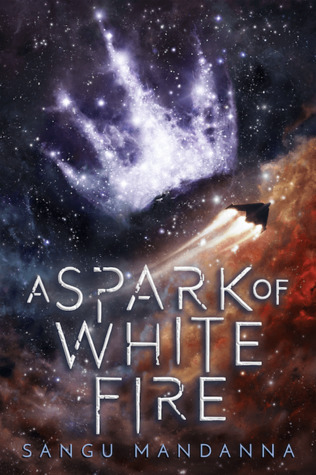 I hadn’t heard of Tarnished are the Stars or Spark of White Fire though, so those have gone straight on to my to-read list. Thanks for the recs! AHHH I AM GLAD I HOPE YOU PICK IT UP! it’s so so good and I can’t recommend THE FEVER KING enough! and tarnished are the stars is one i’m sooo excited for, and SPARK is just literally amazing. so awesome. of course! !